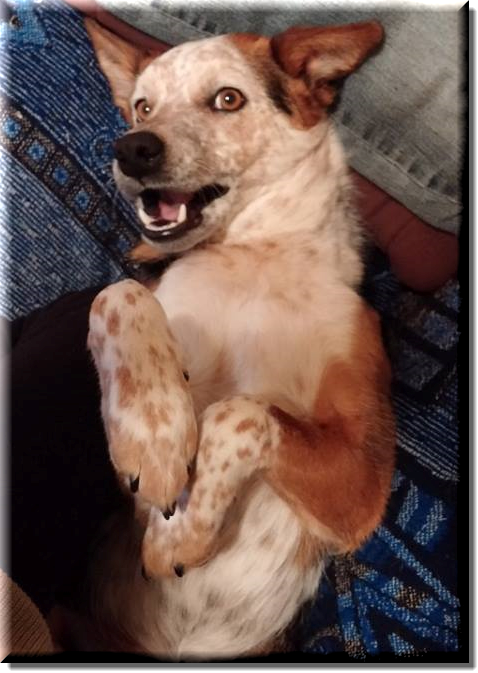 Nipper arrived in June 2013, and is a Queensland Heeler. She was very hyperactive when she arrived, and insisted on nipping at everyone's heels and pantlegs. But now she is a very well-behaved girl, and has learned to herd and nip at her Jolly Ball instead of people. Because she frequently finds new ways to escape (but always comes back when her exploratory quest is complete), she is also known as Princess Walkabout.